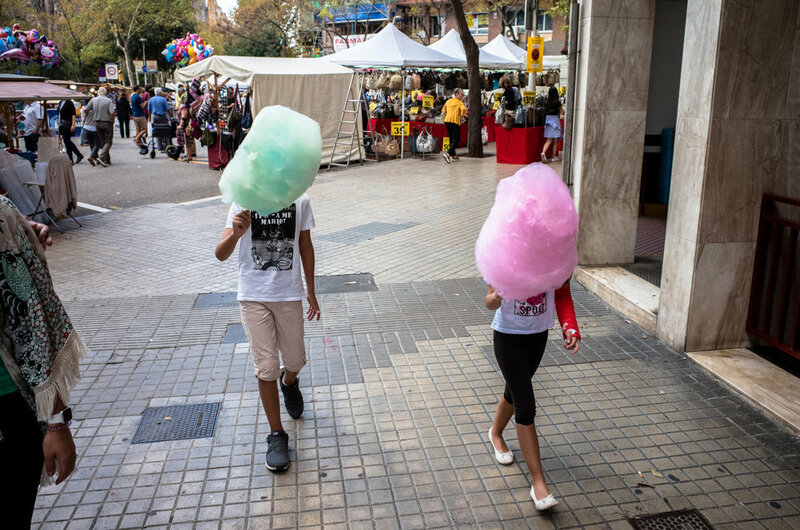 Burn My Eye members Pau Buscató and Dimitris Makrygiannakis will come together in the streets of Barcelona, a city of special importance to both. Pau’s hometown (currently living in Oslo) and Dimitris’ photographic home the last 4 years (living in Stockholm but visiting Barcelona frequently), Barcelona is a street photographer’s paradise, with a very lively vibe and events/happenings in public spaces on a constant basis, especially during weekends when the workshop will take place. The workshop will start on the evening of Friday the 13th with portfolio reviews and presentations/discussions about street photography, continuing during the weekend with shooting in the days, and editing/discussions in the night. Expect a quite intensive programme, with long hours of shooting and editing/discussing as well. There will be a follow-up of participants' progress with a Skype Session 6 months after the workshop. Workshop fee 400 Euros, early bird discount 300 Euros (until July 30). Pau Buscató (1975) often shoots in big cities like Barcelona, London or NYC, where he is constantly looking for those poetic accidents that convert a mundane situation into something special. He has received recognition from various international photography festivals and competitions. His work has been part of exhibitions around the world, and it's been featured in various online and printed publications, including David Gibson's latest book '100 Great Street Photographs. Dimitris Makrygiannakis (1979) is the winner of the Invisible Photographer Asia 2013 as well as of the Fotoura 2014 Street Photography award. His photos have been exhibited in various exhibitions around the world, and in various online and printed publications, including David Gibson's latest book '100 Great Street Photographs'. We at Burn My Eye are excited to announce that photographer Pau Buscató has joined our collective. Pau is originally from Barcelona and currently based in Oslo (Norway), where he moved in 2009. He walks the streets looking for those poetic accidents that sometimes take place in the most mundane situations. He likes to play with ideas imaginatively, often with a subtle touch of humor and he invites an illogical dimension to infiltrate in his pictures thus subverting our everyday realities.